The entire team at Manda Homes works through a process that always results in customers being completely satisfied with the results. You will first have a free consultation with the project manager and a designer to discuss the home you would love to have. Then you will have another consultation after the team has listened to your wants and needs and come up with a plan. 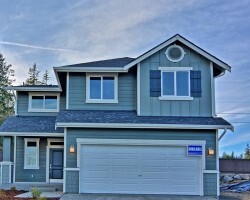 Once you have approved the plans, designs and materials of the home builders in Seattle, WA, they will get to work making your dream home come to life. Building your home from scratch is the only way to be sure that you will love every aspect of it. This is why so many Washington residents turn to the services of Neil Kelly. This professional company has been building custom homes in the area since 1947. 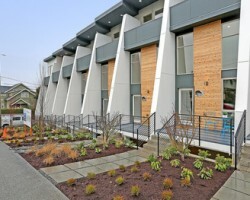 All of the homes built by this company are made with environmentally friendly techniques, are energy efficient and are made with locally sourced material as well. 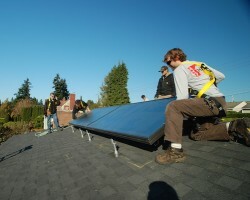 When you choose to build your home with this team you will also be doing your part for the environment. 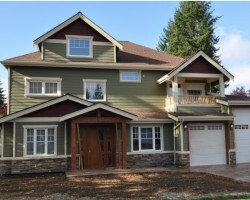 Working with the top Seattle custom home builders means that starting from scratch can take as much time and money or as little time and money as you would like it to. Assisted Custom Construction Inc. is the company families work with when they would like the home of their dreams built by the experts. This team will walk you through the building process, including choosing a layout for the rooms, the number of bathrooms, the color of the cabinets and so much more. The best part is that this team often completed projects under budget. Green Canopy Homes are local building contractors that would describe their work as urban home building. This company is known for taking empty lots in the heart of the city as well as older homes in the suburbs and turning them into brand new homes that are styled and laid out perfectly. Though this is not a luxury home builder, the houses built by this company are made using only the finest materials and designs. The prices for these beautiful homes is always affordable, something reviews cannot say enough about. Harbour Homes is a residential building company in the area that builds single-family homes of the highest quality. The company comes up with designs that suit a busy family using the best materials possible. When you buy a home from this company, you can be sure that every aspect will be crafted perfectly. From the layout of the space to the materials used on the outside of the home, you will be so happy to move into a space that is brand new and is completely fresh to you.